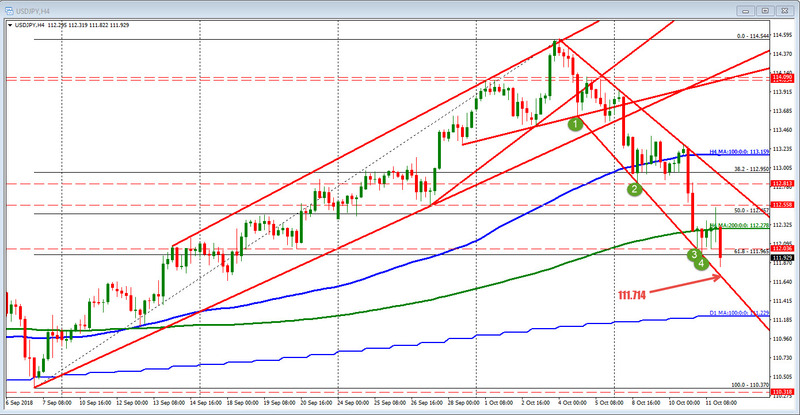 As stocks slide (Dow down -600 and Nasdaq down -123 point and S&P down -2.22%), the USDJPY has moved to new session lows. The price is below the 112.00 level and below the 61.8% at 111.965. The pair looks toward a lower trend line at 111.714. 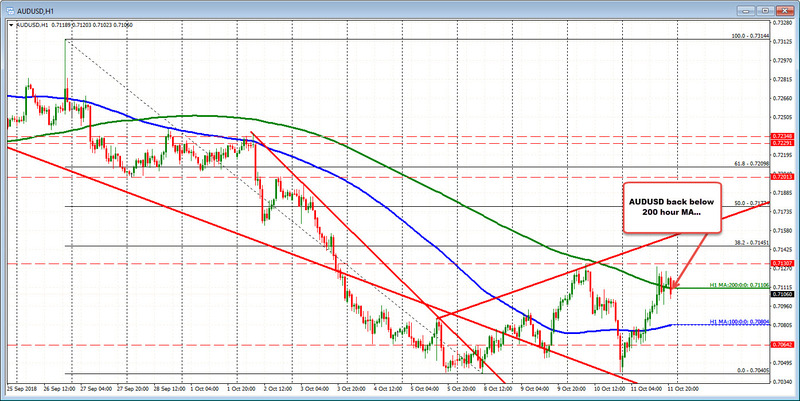 The AUDUSD just move back below its 200 hour MA aat 0.71106. Typically there is a flight out of that «risk» currency although it has not really done that today. The NZDUSD is another pair that tends to see sellers but it remains near highs (although tilting). Do sellers come in? Stocks end the session mixed. Nasdaq up. S&P flat. Dow down. AUDUSD pauses its fall. Can it rally? GBPUSD nearly completes the lap back higher.